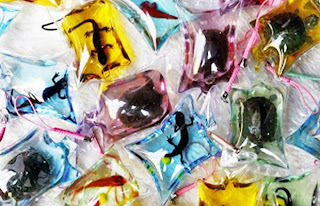 Chinese street vendors are selling live animals, permanently sealed in a small plastic pouch where they can survive for a short while as someone’s conversation piece. Apparently, these unimaginably inhumane keyrings are actually quite popular — and worst of all, totally legal, too! These keyring accessories containing alive animals are widely available and sold publicly in subway stations and on sidewalks. Potential buyers have the choice between a living Brazil turtle or two small kingfish, sealed in an airtight package along with some colored water. Vendors, however, claim that the trapped creatures “can live for months inside there” because the water contains “nutrients,”, but veterinarians have already disputed this claim. Many animal rights supporters have raised their voices, but the ones that have been packed and sealed will eventually die, gasping for the final breath of air.